A venue oft high on both the foodie and corporate lunch recommendation lists, Fumo has been high on my own list for a while. 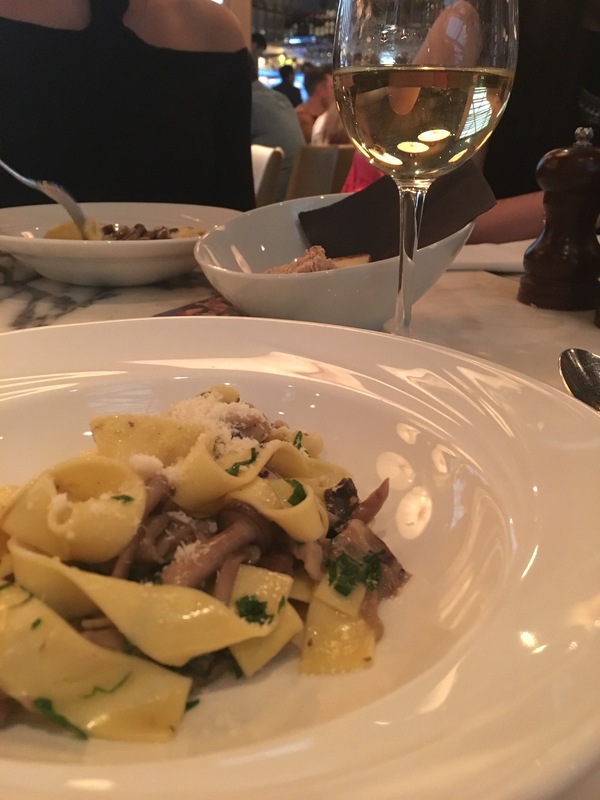 A girly dinner and drinks turned out to be the virgin outing at Fumo. Venturing into Birmingham on a Friday evening, expecting to feel under dressed given Fumo’s rep & history of celebrity visits (catalogued on their staircase ‘hall of fame’), I was pleasantly surprised that I hadn’t gone too OTT. Yes there were both women and men who were dressed to the nines for #datenight but equally there were guys in more casual evening attire i.e. smart trainers and jeans. Immediately on to the serious stuff: the food. 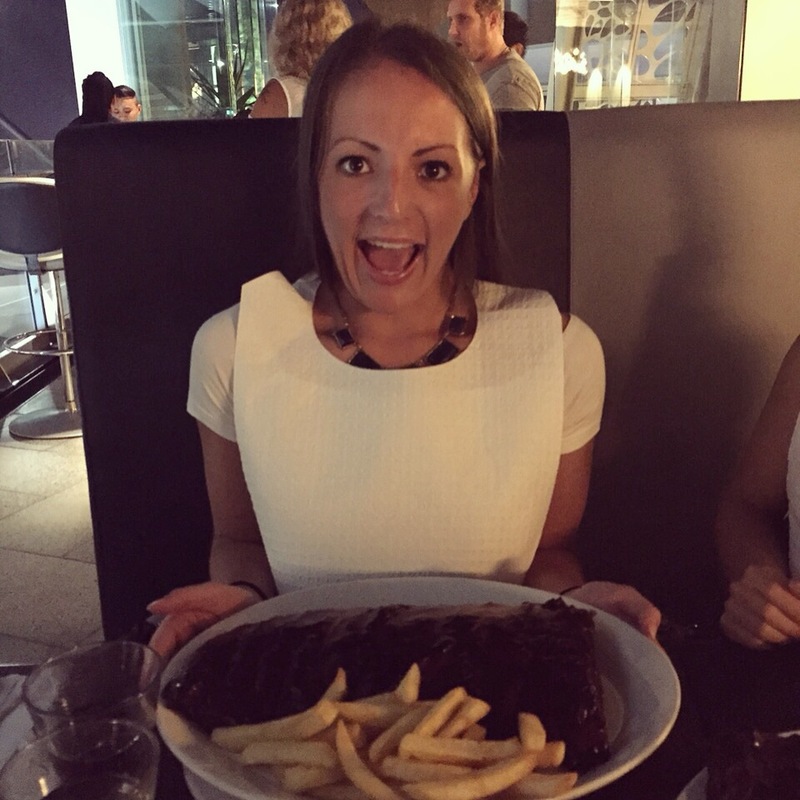 With a menu card the size of my torso, I knew it was going to take a while to digest and decide. 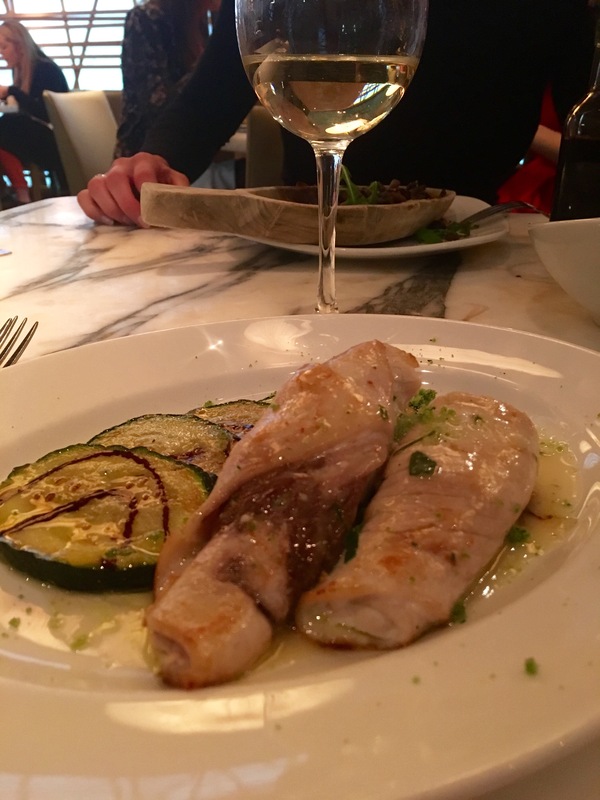 Fumo operates a chichetti menu – small dishes of Italian cuisine designed to share and be replenished by the next dish (aka, Italian tapas). Three return visits later from the waiter and we were ready. 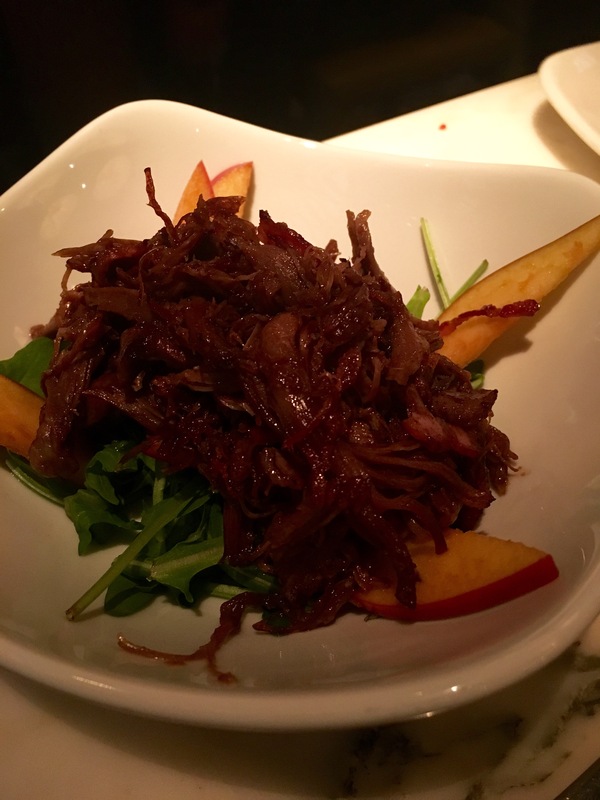 Following the recommended 2-3 dish rule, I went for the duck salad followed by the porcini & truffle parpadelle, which were partially shared, but mostly devoured by me. I would always prefer to share dishes, mostly so you can sample more of a restaurant’s menu, but it’s not to everybody’s liking. 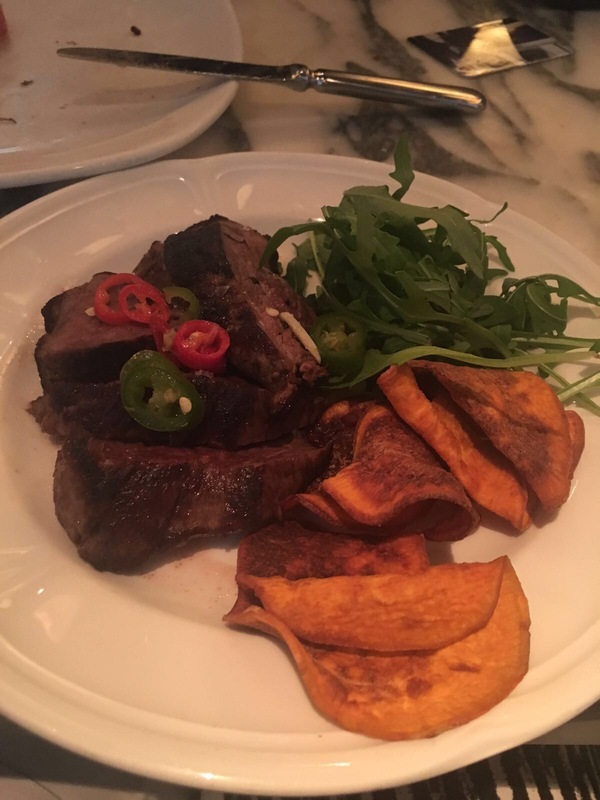 Other chosen dishes around the table were burrata & palma ham (a VERY generous portion that could be shared), crab & avocado bruschetta, breaded chicken & an attractive-looking steak dish. Deciding that we simply couldn’t leave having sampled just two dishes from that gigantic menu in our (slightly alcohol-filled) tums, we went for a third. And I’m so glad I did. Accompanied by a bottle of the ‘house’ white wine (none of my fave go-to Marlborough SB around here) & an abundance of cocktails from their fabulous bar menu, I can honestly say my evening in Fumo (and surrounding bars!) was one of the most enjoyable I’ve had in a while. 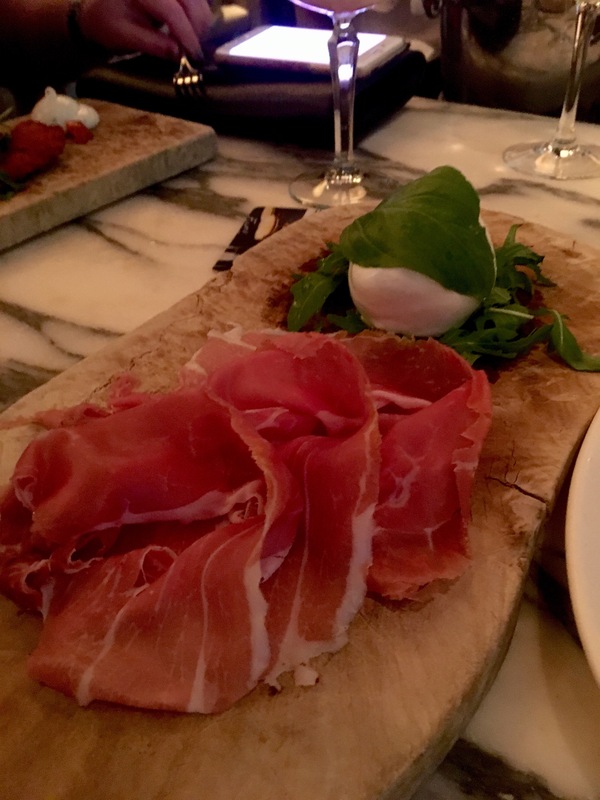 What impressed me most about the whole experience at Fumo was the atmosphere – a genuine buzz, without feeling like I had to shout to my friends or fight to get to the bar. The girls in my company certainly enjoyed it too and Fumo’s been recommended numerous times to those look for a fab tapas and cocktails night. One to enjoy for many more occasions to come with all the people: the girls, the family and maybe even my doesn’t-share-food boyfriend.